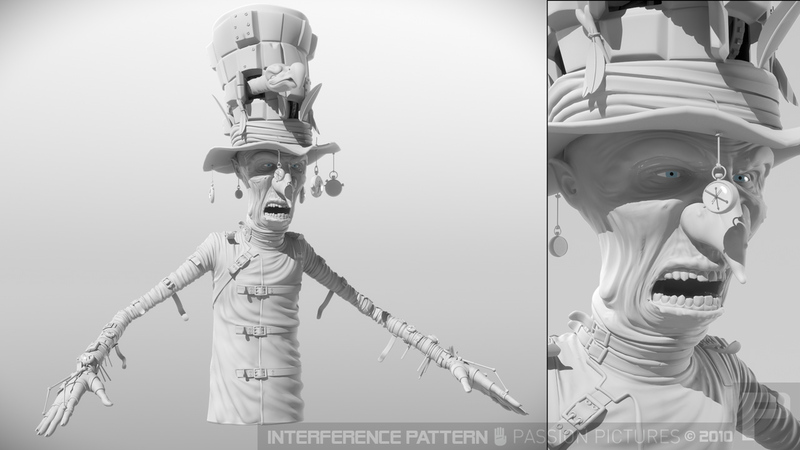 Character modelling for ‘Alice – The madness Returns’ game trailers. Modelling work was recently completed on Alice – Madness Returns, for Passion Pictures. Interference Pattern was responsible for various character and prop modelling.